In this episode, Audrow Nash interviews Edson Prestes, Professor at Federal University of Rio Grande do Sul and an organizer of the Humanitarian Robotics and Automation Technology Challenge (HRATC) 2016 competition. 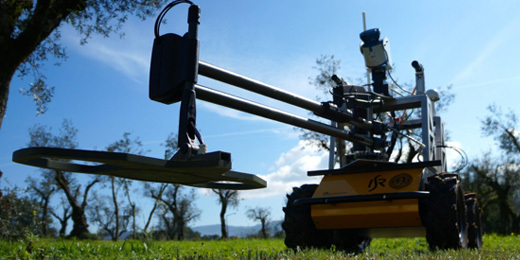 The HRATC competition challenges teams around the world to develop methods of controlling robots to detect land mines in large open environments. According to the UN Mine Action Service, landmines kill 15,000–20,000 people every year (mostly children) and maim countless more across 78 countries. Demining efforts cost US 300–1000 USD per mine, and, for every 5000 mines cleared, one person is killed and two are injured. Thus, clearing post-combat regions of landmines has proven to be a difficult, risky, dangerous and expensive task with enormous social implications for civilians. Edson Prestes received his B.Sc. degree in Computer Science(CS) from the Federal University of Pará (UFPa), Brazil, in 1996 and M.Sc. and Ph.D. in CS from the Federal University of Rio Grande do Sul (UFRGS), Brazil, in 1999 and 2003, respectively. He is a CNPq Productivity Fellow (Brazilian National Council for Scientific and Technological Development) for his contribution to Brazilian Scientific Progress. Edson is Professor at UFRGS, since 2005, and Head of ϕ-Robotics Research Group.